Seeing as summer seems to have begun in April this year and we're heading for a half-term heatwave this week, I thought that rather than the blog's usual 'Wine Of The Month' from The Vin Bin, some cider is more in keeping with the unseasonably good weather. 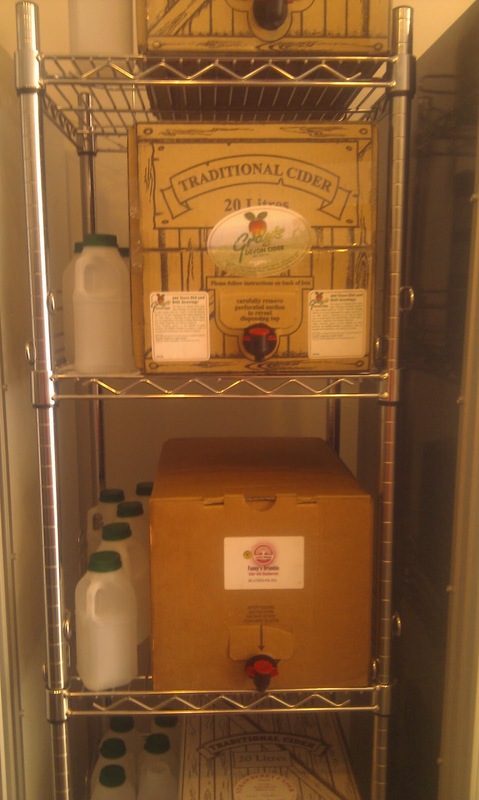 Vin Bin owner Miz took a trip to Devon recently and came back armed with a selection of ciders - from the traditional Gray's Devon Cider, to the cheekily entitled Fanny's Bramble (cider with blackberry) and a deliciously drinkable strawberry cider. All you need to do is pop along to the Vin Bin, fill the bottles provided with the ciders of your choice and enjoy them in the Worcester Park sunshine.